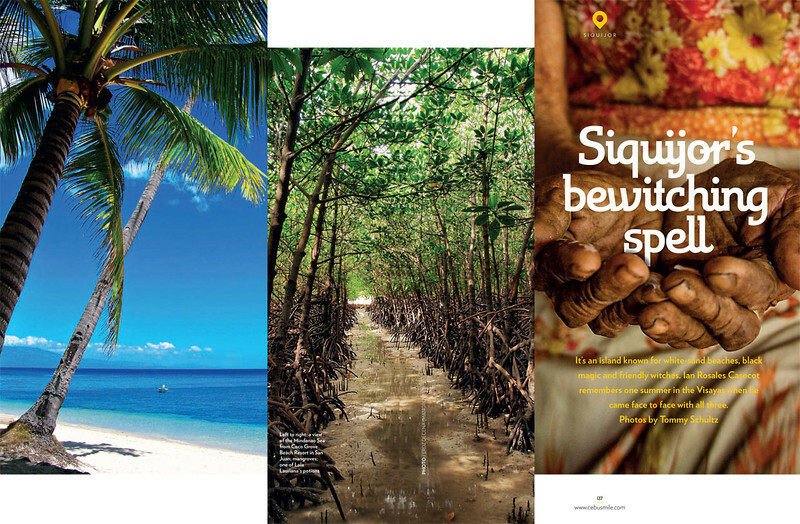 Yes I miss Siquijor. 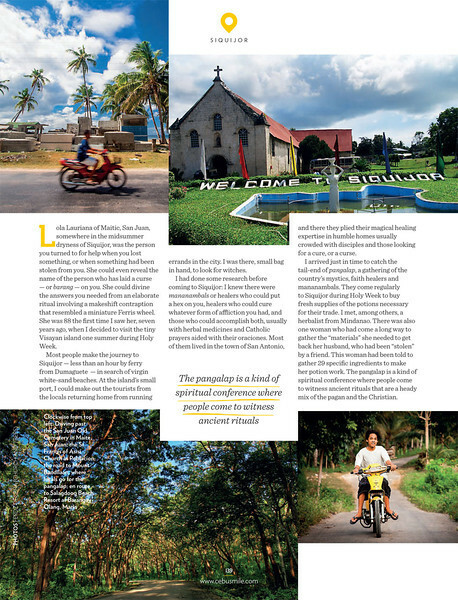 It’s one of the first few islands I visited in the Visayas region and until now I yearn to go back and be enchanted again. 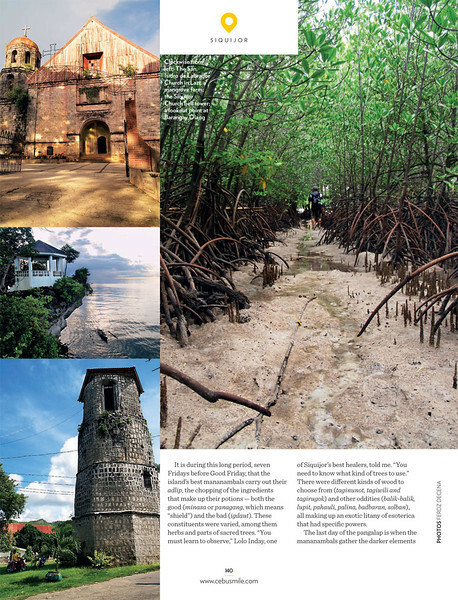 For the meantime, check out some of my photos on the November 2013 issue of Cebu Pacific’s Smile Magazine inflight. Just looking at those photos makes me want to go back and see what has changed throughout the years.